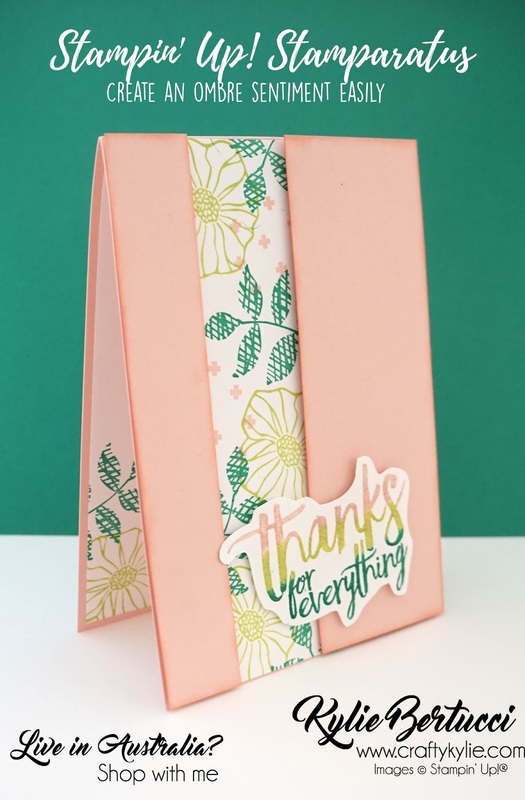 Thank you for joining us today for this AMAZING Stampin' Up! 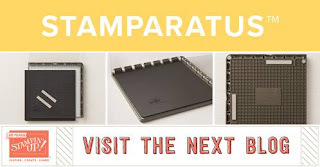 Stamparatus Blog Hop. I am thrilled to be part of this hop and being able to show you one of the techniques using this new and amazing tool is very exciting for me. I am LOVING the Stamparatus tool - in fact, I can't stamp without it now. 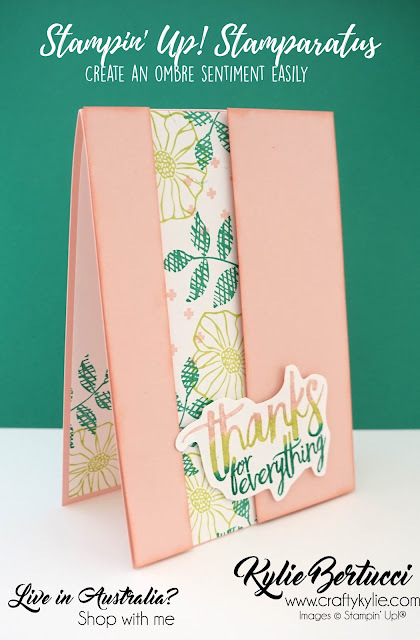 It has so many amazing techniques that you can use it for to make stamping so much easier. You will think the same when you get your hands on one. Make sure you hop all the way around and see every one of these amazing Demonstrators ideas. Here is my card that I made using the gorgeous Oh So Eclectic Stamp set and the sentiment is from All things Thanks. 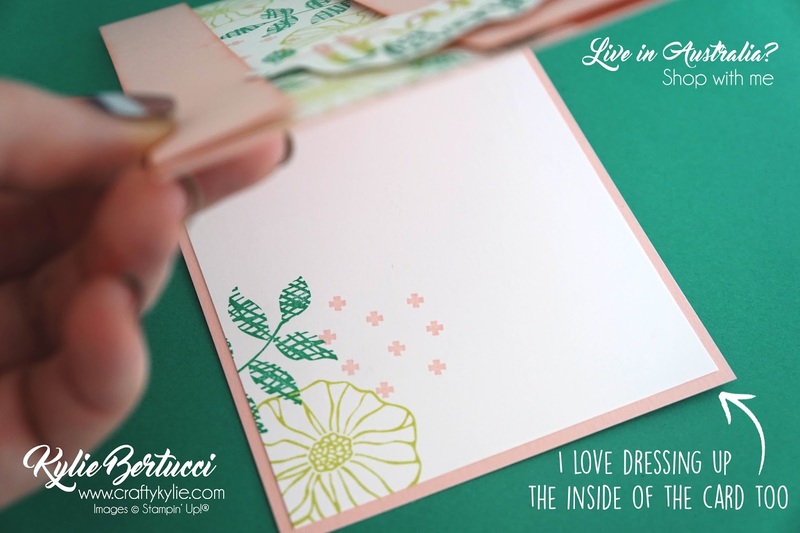 I have used Emerald Envy, Powder Pink and Lemon Lime Twist for my card today. An interesting combo that was inspired by paper from the new and upcoming Annual Catalogue. Emerald Envy is sadly leaving us at the end of May, so an option to swap it with would be our new In colour called Call Me Clover. 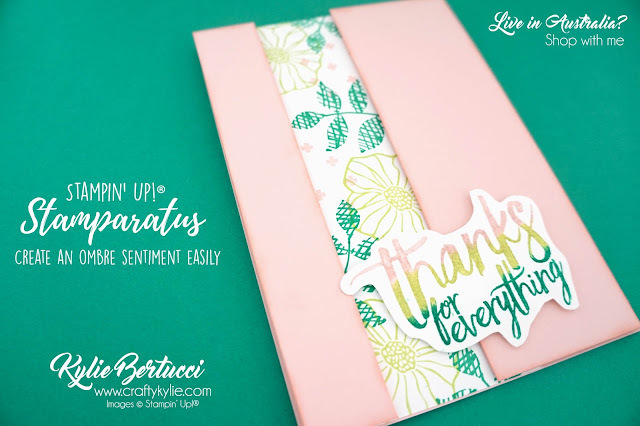 Here is a video that I made to explain how I used the Stampin' Write Markers and the Stamparatus to make this cool coloured sentiment. Are you following my YouTube Channel? Click HERE to do that today! I love decorating the insides of my cards too - I just think it gives it an element of surprise and makes it even more special than it already is. Thank you so much for coming by today. I would LOVE to hear from you. If you like what you are seeing you can subscribe to my blog for updates by email HERE. If you live in Australia and would like to shop with me today you can do so HERE. You will be able to purchase the Stamparatus from the 1st June 2018, so make sure you add it to your shopping list. 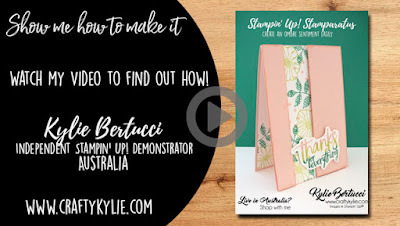 If you live in Australia you can purchase this from myself or your usual demonstrator you order through.